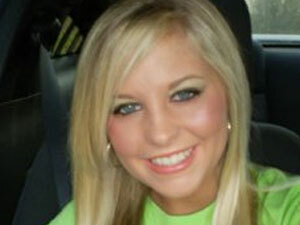 (CBS/AP) PARSONS, Tenn. - Authorities have refused to rule out anyone in the community of Parsons, Tenn. as potential suspects in the disappearance of 20-year-old nursing student Holly Bobo. "We have not eliminated anyone from the investigation," Mark Gwynn, Director of the Tennesee Bureau of Investigation, told CBS's The Early Show. "That's why we ask the community to look among themselves. The Tennessee Bureau of Investigation and other law enforcement agencies asked residents during a news conference Sunday to take notice of anyone whose whereabouts were unaccounted for Wednesday morning when Bobo went missing. "We've asked for their support and help," Gywnn said. "I think we're on the right track." While police initially believed the attacker had dragged Bobo away, investigators now suspect it was a familiar community member who led Bobo into the woods, reports CBS News correspondent Don Teague. "It might have been somebody close that kind of knew our routine - when I left, and when she left, and when my daughter left to go to school," said Dana Bobo, the student's father. Investigators have discovered several of Bobo's personal items, including her cell phone, purse, and lunch box. Bobo is 5-feet-3-inches tall and weighs 110 pounds. She was seen around 7:30 a.m. wearing a pink shirt and light blue jeans. Officials ask that anyone with information contact the TBI at 1-800-TBI-FIND.